Structural congenital heart defects (CHD) result in a multitude of abnormal physiologies of myocardial mechanics and flow, and often require surgical intervention in infancy to reconfigure flow components to something that sustains life. Myocardial and vascular mechanics in CHD are less well understood and the long-term effects of these solid and fluid mechanical derangements frequently result in heart failure and arrhythmia in adult survivors of CHD. The development of improved analytic and predictive tools in CHD care is a vital area of research and requires a synergy of interests of basic science researchers and academic clinicians. The Cardiac Atlas Project-CHD Atlas achieved NIH funding in 2014 to create an open source database of computational models of CHD, based on imaging and clinical data from Rady Children’s Hospital, UCSD Med Center, and the University of Auckland (NZ). To date, 442 patients have image files downloaded: 20 patients have been uploaded and models developed in patients with coarctation of the aorta, 100 local and 40 NZ patients are available for tetralogy of Fallot analyses and nearly 20 with single ventricle physiology (Fontan, tricuspid atresia, hypoplastic left heart). These studies have resulted in presentation and publication of data related to ventricular shape templates for patient-specific CHD modeling, left ventricular models both before and after stenting for relief of coarctation, and contraction sequences to begin to understand heart failure in single ventricle. Current efforts also focus on expanding server capability for multicenter enrollments. Additionally, there are separate but concurrent projects with MAE related to flow dynamics in CHD and pediatric cardiac dyssynchrony states. 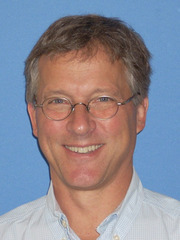 Future goals include expanded multicenter contributions to the CAP, improved understanding of single ventricle mechanics, an increased focus on right ventricular models, electroanatomic model manipulation, integration of solid and fluid mechanics in CHD, and an integration of myocardial genomics in CHD patients, utilizing the resources of the new Rady Children’s Institute for Genomic Medicine. Dr. James C. Perry is Professor of Pediatrics at UCSD and the Director of Electrophysiology and Adult Congenital Heart Programs at Rady Children’s Hospital San Diego. His educational background includes Princeton University, the University of Rochester School of Medicine, Children’s Hospital of Philadelphia pediatric residency and Texas Children’s Hospital for pediatric cardiology fellowship. He is past Director of Pediatric Cardiology at Rady Children’s and former Chief of Pediatric Cardiology at Yale University School of Medicine. He is active in clinical and translational research projects on antiarrhythmic drugs, genomics and channelopathies, catheter ablation, adult congenital heart arrhythmias, innovative device designs and program development, with 90 peer-reviewed publications to date. Dr. Perry is Past President of the international Pediatric and Adult Electrophysiology Society. He is active in teaching in the Department of Pediatrics, a reviewer for many journals related to electrophysiology and serves as a medical expert for the U.S. Department of Justice. In the past several years he has helped initiate translational projects related to congenital heart disease with colleagues in the UCSD Departments of Bioengineering and Mechanical and Aerospace Engineering. These efforts have resulted in a successful R01 application for computational modeling of congenital heart defects and a number of publications, abstracts and presentations by members of the group. Dr. Perry is also part of the UCSD/Rady team that provides pediatric cardiac services to the Hawai’i Pacific Health group, based at Kapi’olani Women and Children’s Medical Center in Honolulu. In his spare time, he enjoys surfing and has been an active Chapter Co-Founder with the Surfrider Foundation. He lives in Ocean Beach with his wife, Nicole.